As you all know, the Internet is quickly beginning to overtake the traditional forms of media such as newsprint, television, and radio. The major media networks that were established in the 20th century are no longer relevant. The Internet allows any person with access to a computer to share their opinion or content with the world. Unlike traditional media that is based on geographical location or corporate factors, the Internet is generally uncensored and is home to millions of pieces of great content. After emerging from the shadows of the Internet in 2005, YouTube has quickly become one of the most popular websites online with its content being syndicated to mobile devices, web-enabled televisions, and traditional television broadcasts. YouTube is also responsible for launching the careers of some of today’s most popular celebrities including teen sensation Justin Bieber. We here at Indie Guy Studios are constantly addicted to YouTube and are always keeping our eyes peeled for new and fresh content. New webshows and channels are being launched at an ever increasing rate with no slow down in sight. Unfortunately, most of these web shows are simply unwatchable or are mismanaged. Every once in a blue moon we stumble upon a YouTube channel that is just beginning but has the potential to be the next big thing. This new weekly column “YouTube Spotlight” is designed to shed light on exceptional channels that are going unnoticed. 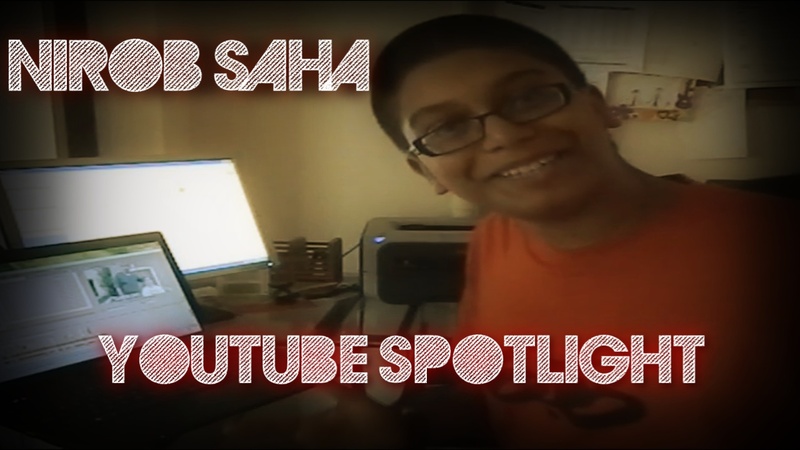 This week we have got in touch with YouTuber Nirob Saha. Can play the trumpet, guitar, keyboard, drums and tabla. Loves to play basketball, baseball and hockey. Is an “A” student in school. We got to ask Nirob a few questions regarding his YouTube channel. Why did you first decide to join YouTube, and are you glad you did? My first video on YouTube wasn’t on this channel. It was on an old channel called “309095974”. My friend bought an iPod Touch 4G, and as you know, this iPod has a built in camera. So using that camera, we made a prank video where we fed a little kid an Oreo cookie with toothpaste! I got a lot of positive feedback and since then I started to make more videos. It basically was thanks to my very small but loyal fan base. What makes me unique is a bit of a difficult question. In terms of people in general I believe I am brave for putting myself out there on the internet for criticism. But in terms of YouTube, what sets me apart from everyone else is my range of material. I make music videos, sketches, parodies and vlogs all with cheap equipment and trial software. Using the limited resources, I believe I made great stuff. I also believe that since I’m not a “view whore” I can concentrate on making greater videos. Te final thing that makes me unique is that I can never be angry. In any circumstance, I can’t get angry and I’m always very upbeat and cheerful. So I bring these qualities to my videos and these are the way how I set myself apart from the competition. Where do you hope your YouTube channel takes you? Where I am going with my YouTube channel at this moment is unknown. To me, YouTube is a hobby and I intend on having this hobby for the rest of my life. I don’t want to make it my profession because since birth I always wanted to be a doctor. The only thing I want from this YouTube channel is a broad audience. With a broad audience I believe I can somehow convey messages of safety etc. 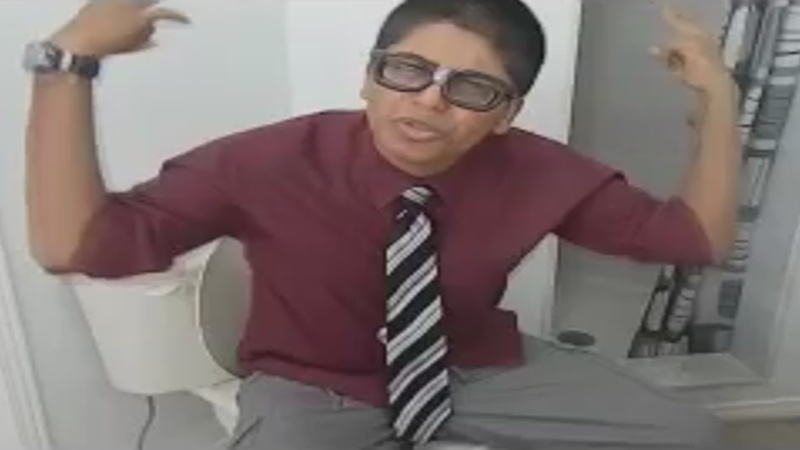 For example, I have a video on why drugs are bad and I intend on making videos like these in the future. As you know YouTube is incredibly competitive, how do you plan on gaining a fanbase? I believe hard work and determination is the best and only way to gain a fan base. I’ve seen people do “sub 4 subs” or use programs that generate views or do some sort of trickery. But what I do is make videos… put it on the internet and see what happens. Now obviously, my friends, family and I spread my videos around my speech and facebook/twitter but that’s kind of it. I don’t really worry about my viewers or subscribers. I just need my views/subscribers to rise a little bit a day and I’m happy. YouTube is a place where anyone with an Internet connection can watch your videos, so occasionally you will get some haters. How do you deal with negative comments? Honestly, haters really aren’t a big problem for me. I actually don’t have enough fans to get the haters :P. But for the occasional haters, sometimes my viewers take care of them or sometimes I do. Usually by ignoring them or by rebuttal. Cause in my head… Haters mean your climbing the steps to success. Describe your process for making a video. I actually have a sort of set process in making videos. I start by deciding my topic. This idea either comes from topic suggestions from my viewers and friends or when I fall asleep. See a lot of times, I would wake up in the middle of the night with a possible video idea, I got it down and from the morning on, I continue to expand that idea. By Monday the general idea is complete, by Tuesday all the planning and finishing touches of the plan is done… From Wednesday to Thursday I shoot and edit, on Friday I do final touches and tweaks and on Saturday, it goes up o YouTube. And the process tarts all over again! In terms of video editors, mine changes about every 30 days. I actually use trial versions of video editors for some reason. I’m just really trying to find a good editor to invest on. I’ve completed all of the Sony Vegas Software Trials and now I’m on the Magix Movie Edit software trials. In terms of camera, I started with a really old Sony camcorder, specifically a Sony Handy cam DCR SR47. It wasn’t a good camera but it was useable. Then recently I slightly upgraded a Nikon Coolpix L120. It’s no DSLR but it’s much better. In terms of audio editing, I actually use my video editor for that. And all my raps are one takes and with no auto tune or anything. I honestly just don’t know how to do those. I’m just a beginner you tuber you know. I noticed you make a lot of musical parodies, how do you decide on the lyrics and musical arrangement? Musical Parodies are actually something I only started last month and I’ve done about 3 since. The idea came upon me one day when a viewer of mine told me to make a rap! I thought it was a really cool idea but didn’t know how and when I should start. So I asked my friend Cody who is a extremely talented musician to make a beat I can “rap” on, and then I just started to rap. My first rap “The First World Problems” was suggested to me by a viewer and so I made it. The thought process is the same as question #6. They’re just something fun and new for me to do and by the positive feedback I’m getting; I thought making more would be cool. You can click HERE to check out Nirob’s channel.